The external grounds of the £150m National Automotive Innovation Centre at the University of Warwick have been officially completed. The new R&D centre, which will open in summer 2018, will become a crucial facility for developing the UK’s automotive sector including technologies like electric drive, lightweighting and driverless cards. It will be the biggest automotive R&D facility in Europe and is a joint agreement between Jaguar Land Rover, TMETC and WMG. Warwick Manufacturing Group (WMG)’s Professor Lord Bhattacharyya, Jaguar Land Rover’s Professor Dr Ralf Speth and Tata Motors European Technical Centre (TMETC)’s John O’Connor, along with Leo Quinn, Balfour Beatty Group Chief Executive, and Rosie Drinkwater, University of Warwick, marked the milestone moment with a specially engraved stone. • Smart and connected vehicles (on-vehicle competence, driver assist and cyber security). “NAIC will be the beacon of smart mobility in the United Kingdom,” he added. 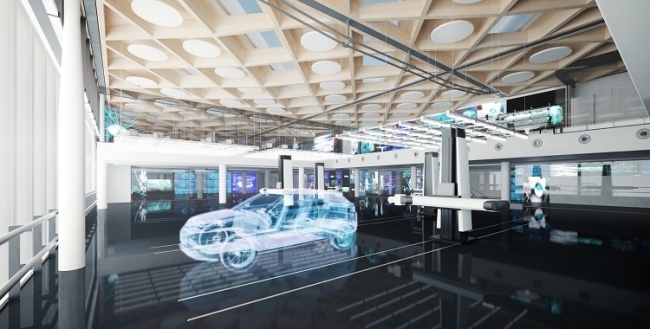 £150 million is being invested in the NAIC building and its research activities that will bring together OEMs and their supply chain companies. The government, via the Higher Education Funding Council for England, has also provided £15 million of funding to support the capital project. It will create 1,000 new direct jobs, help underpin 3,000 jobs in R&D tier 1 suppliers, as well as help train the talent required to meet the demands of emerging technologies and engaging future generations of engineers. 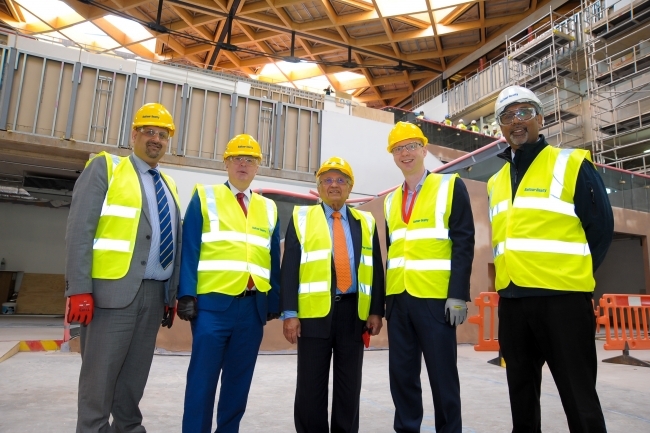 Last month both Mr Chandrasekaran, Chairman of Tata Sons and Mr Tata, Chairman Emeritus of Tata Sons separately made visits to the Centre to see for themselves the progress in its construction. The National Automotive Innovation Centre was designed by Cullinan Studio and is being constructed by Balfour Beatty. The building will occupy 33,000m2 next to WMG’s current facilities on the University of Warwick campus. The four-storey building has a collaborative heart with space for partners, academics, students and the supply chain to work on a range of advanced projects. The ground floor of the building has a large public space, which will host exhibitions relevant to the technologies and concepts being developed.